A Taliban spokesman has issued a series of threats and ultimatums against Pakistan’s ruling political class as that country’s artillery and helicopters continue to pound the Islamic militant group in the Swat Valley. Speaking on the telephone with CNN, Muslim Khan announced that all national and provincial parliament members from the Malakand Division, the northwestern region where the Swat Valley is located, must resign within three days. “Otherwise, we will arrest all their families,” Khan threatened, “and we will destroy all their buildings.” The Taliban spokesman issued a separate directive aimed at prompting a public show of support for the militants from Pakistan’s Islamist political parties. “All these parties must help the Taliban,” Khan said. “They must give a press conference to show the people that we need sharia [Islamic law] in the Malakand Division.” Members of the Islamist party Jamaat-i-Islami have spoken out against the military’s offensive in the Swat Valley, but they have stopped short of announcing support for the Taliban. 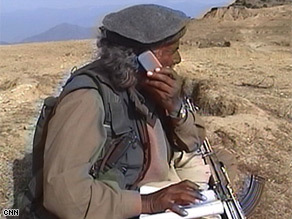 Throughout the fighting over the past three weeks, the gray-bearded Khan has been the public face of the Taliban, enthusiastically courting local and international media in jovial telephone conversations. In an earlier phone interview with CNN, he described how he had spent four years living in the United States, working as a painter in the Boston, Massachusetts, area. On Wednesday, Khan denied reports from many refugees emerging from the Swat Valley that Taliban militants had carried out a campaign of violence and intimidation in the region for the past two years. Several terrified Swat residents, speaking on condition of anonymity for fear of reprisal from the Taliban, described how insurgents kidnapped and killed their critics, beheaded government informers and blew up girls’ schools. Khan denied the accusations. “We are killing the people which are only no good for society, like thieves and people who are making problem for the poor people, like people who are working for army,” he said. “We are only killing these people.” On Tuesday, the Pakistani army announced that it had performed helicopter drops of special forces soldiers into the Peochar area of Swat, which is thought to be the headquarters for the Swat Taliban’s leader, Maulana Fazliullah. Local media report that the Taliban have training camps in Peochar. Khan confirmed that Pakistani troops had assaulted Peochar, which he described as a “place for mujaheddin,” or holy warriors. The Taliban spokesman said militants and soldiers have been fighting in the mountains around Peochar since Tuesday, and that the clashes continue. He said two Taliban fighters had been killed so far in the battle, along with five Pakistani troops. CNN could not independently confirm that because of safety and access reasons. Meanwhile Wednesday, Taliban militants attacked NATO supply terminals, torching at least 10 supply trucks in northern Pakistan, local officials said. About 70 Taliban fighters attacked the facility in Peshawar, police said. A gunfight ensued between the insurgents and police. No casualties were reported. Peshawar is the capital of the North West Frontier Province, which intelligence officials say is rife with Islamic extremists and has been the site of recent clashes between Pakistani security forces and militants. Because Afghanistan is landlocked, many supplies for NATO-led troops fighting Islamic militants there must be trucked in from Pakistan. Convoys carrying food and military supplies have regularly come under attack in the area.